Take the guesswork out of blocked drains! 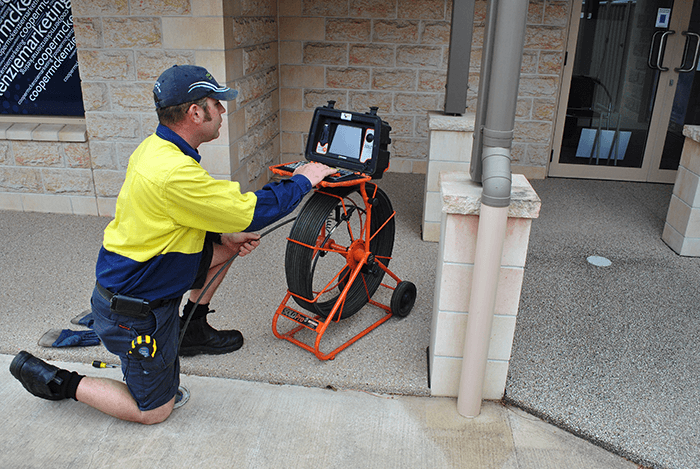 Drain Camera Video technology is a no-mess, no fuss, clean and accurate way to find the problem! Opposed to the old days of having to replace an entire drain unnecessarily, when you hire us, our CCTV drain cam removes any guesswork in determining the exact cause and location of the blockage. As a result, this means a more cost-effective outcome for you. Furthermore, our Specialised CCTV drain camera technology is effectively our “eyes underground”. It allows us to quickly assess the condition of all underground pipes and drains and to pinpoint the exact cause of all blocked drains including sewage pipes. 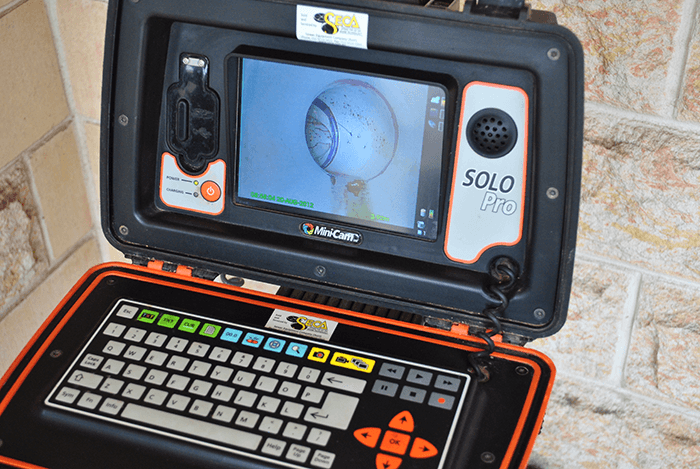 CCTV camera drain inspection equipment allows us to get a full visual assessment of the inside of the pipeline without tearing up floors or breaking down walls. Because we use the latest technology we can insert a camera drain snake into the pipe, while remotely viewing what it captures on a screen above ground. In addition, we also stream the video of the inspection to your inbox with a detailed written report. Every time we clear a blocked drain we use the drain camera to find out what had been causing the blockage, it allows us to make sure that we have completely removed the blockage and that your drains are not going to back up again – We guarantee it. Call now our experts will guide you more about blocked drain plumbing solutions. Very professional service, keep us notified of arrival time, explained procedure and job carried out in a timely manner. Solved out drainage problem and save us money in the long run. Repeat customer. Thanks to Sam and Mike. Great service....fixed the problem!! And received a video of the problem, excellent!! Our processes promise fast and efficient drainage inspections, with results delivered in much less time than would otherwise be possible, keeping costs to a minimum. 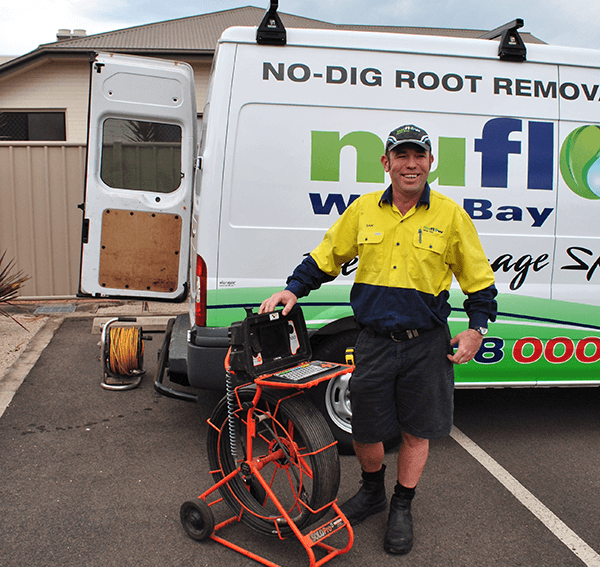 Only Nuflow Wide Bay offers easy online review of your CCTV drain inspection – speeding up the whole process when compared to any other delivery method. Over 25 years of industry experience and state-of-the-art camera technology ensures your job is done right. A full drainage system can potentially cost over $10,000 to replace, Can you afford to take the risk?